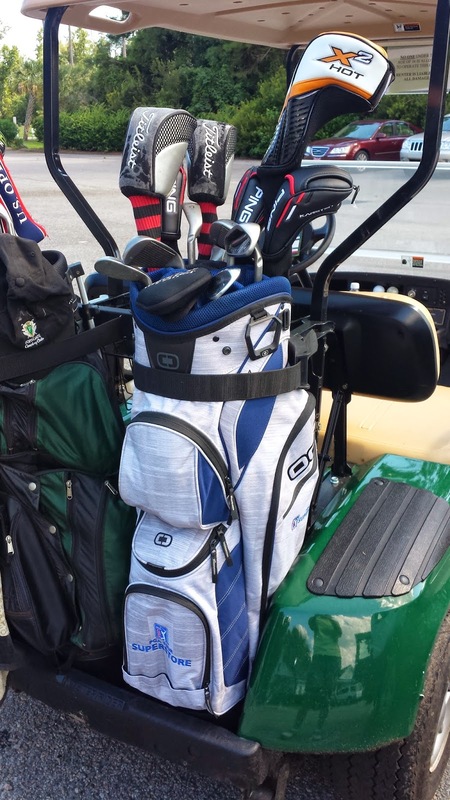 A few weeks ago I was custom-fitted by PGA Tour Superstore staff for a new set of golf clubs. Ping Karsten irons and a new driver found their way into my new Ogio bag. The experience proved not only exciting but educational as I learned the value of a professional club fitting for my golf game. I came away with new knowledge of my golf swing, more club savvy and a with new Callaway X2 Hot Driver. Here is my current assessment of the golf club that now plays a starring role in my bag. 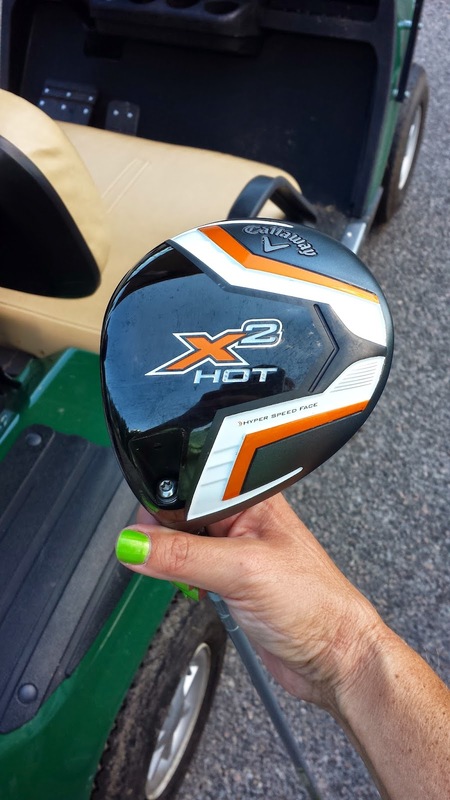 So, what about the Callaway X2 Hot Driver inspired me with confidence? 1. 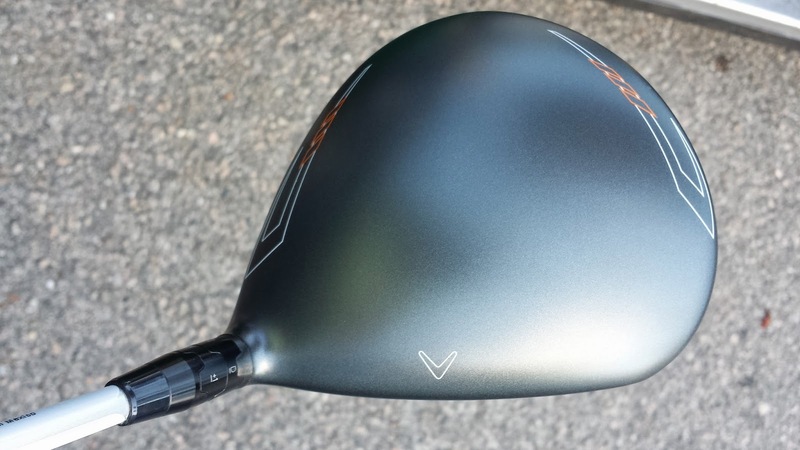 The sound of this driver, when struck on the sweet spot, is incredible. 2. The X2 Hot Driver is 460cc. When you have an older driver like my Titleist 905T, you think you can't miss when you upgrade by ten years...how TRUE! 3. 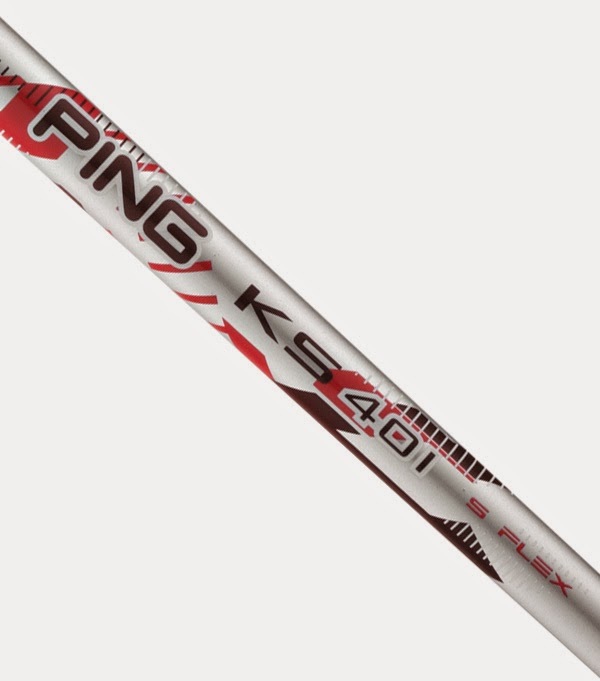 The larger sweet spot, the Hyper-Speed face and the shaft weight all combine to offer a nice, high-launching ball flight with a ton of forgiveness. 4. From the first strike, my golf ball flew thirty yards further. Sure, that was on the sweet spot but, with this club, the sweet spot is hard to miss! 5. Very light in my hands. The X2 Hot Driver is weighted so that your swing feels effortless. 6. In my opinion, the orange, white and flat gray head are really good looking and, as we already know, when you love the way your clubs look, chances are you'll love hitting them. 7. It's all about fitting the right club to your swing. Having a golf club fitted to your size and swing makes you feel more confident when you're out on the course. A neighbor of mine bought a golf club off the rack and told me how he regretted it because it just isn't right for him. I felt sorry to hear that he spent $300 and was unhappy with his purchase. The Callaway X2 Hot Driver comes in both a standard and a pro version which has a slightly smaller sweet spot (440cc) but I'm no Pro..and, for the average golfer, the standard X2 Hot driver, a Golf Digest Gold Medal winner, put confidence and distance in the palm of my hands. Which Golf Drivers are Best for Beginners? The Callaway X2 Hot and more! Find out here. What driver do you have and are you happy with it? Let us know on Twitter @Golf4Beginners and on our Golf for Beginners blog. When the pressure was on, Mark Rypien quietly emerged as victor of the American Century Golf Championship. No real fanfare, just an NFL quarterback quietly holding off a golf legend and a field of well-known celebrities with a dynamic back-nine. Now that the 25th ACC has come to a close and the celebrities are moving on to the Reno-Tahoe Open, the question remains, what's next for the Stower's Institute for Medical Research? Still committed to finding hope for life, uncovering causes and treatments for gene-based diseases. Biologists at UC San Diego find cells that they call the “missing link”? Ribosomes! This discovery will not only force a revision of basic textbooks on molecular biology, but also provide scientists with a better understanding of how to limit uncontrolled cell growth, such as cancer, that might be regulated by controlling the output of ribosomes. So, next time you're thinking that a celebrity golf tournament is just a bunch of famous people looking to improve their game while yucking it up with the crowd, think again. The money that is made as a result of the hi-jinks helps the greater good in more ways than we can possibly imagine. From Mike Eruzione to Annika Sorenstam, sports and television personalities are lending their powerhouse celebrity statuses to the 25th annual American Century Championship golf tournament. What makes this such a popular event...and more important than The Open? Fans know many of the celebrities on this week's ACC leaderboard but I wonder how many people recognize the name Jim Stowers? 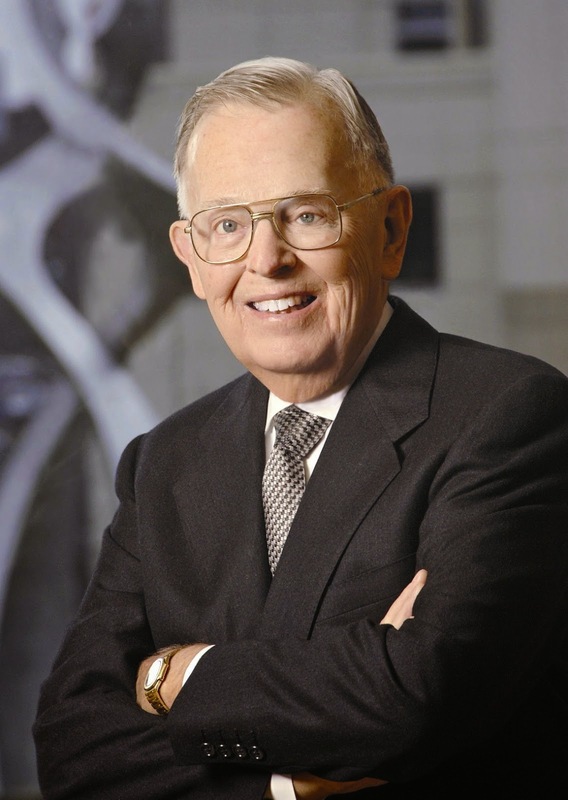 Cancer survivor, philanthropist, and founder of American Century Investments and the Stowers Institute for Medical Research, the late Mr. Stowers, with a dedicated team of scientists, continues to make "a significant contribution to humanity through medical research by expanding our understanding of the secrets of life, and by improving life’s quality through innovative approaches to the causes, treatment and prevention of diseases." Too early...too challenging research? BioMed Valley Discoveries tackle these illnesses every day. Sounds like a mouthful and it is! Basic cellular abnormalities which cause Cancer, Alzheimer's and unconventional medical research are at the heart of this scientific investigation - Stowers and his wife gave their common stock in American Century Investments to fund the research and the celebrities come out each year to stand behind this great cause - Profits with a Purpose. Click the link to watch The Stowers Institute for Medical Research video. So the American Century Championships and The Open, are two great golf events which appear totally different in nature but are they? Both events are major events in their own categories. Some folks call the ACC, "The Superbowl of Celebrity Sports". The Open is one of the four majors of the year. Although The Open is a much older event (1860) with a winner's Share of $1,660,000, twenty-five years of the American Century Championship charitable event makes for a good beginning and, with a record purse of $600,000, there will surely be as much fiery competition here as at The Open. The one difference between these two great golf events? Which will be more meaningful in the long run...? When you are watching The Open at 4AM and switch over to the ACC in the afternoon, think about what these celebrities are playing for - a much greater cure than what a few good rounds of golf will bring! Golf Channel will re-air the broadcasts Saturday-Monday. Are you going to watch the American Century Golf Championship? Voice your opinion on Twitter @Golf4Beginners and on our Golf for Beginners blog. 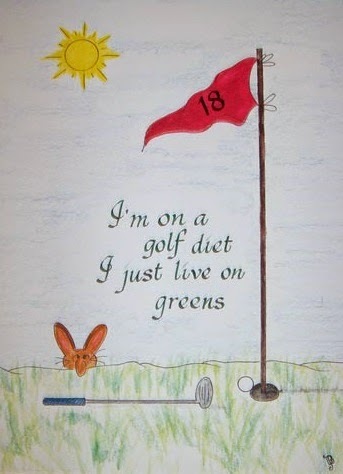 Can You Still Enjoy #Golf at a Snail's Pace? A recent article on the Golfplan blog intrigued me into writing a response. The blog, "Has Golf Lost Its Enjoyment Factor As It Has Gotten Slower", says that the result of golfers taking longer to play a course is sapping the enjoyment out of the game. So true, I thought as I began thinking back to rounds that seemed to last forever. As I can only speak about my amateur golf experience, I would like to comment solely on my participation in the game and leave professional opinions to the pros. I am personally not a slow player but I'm not Speedy Gonzalez either. I try to take a few moments before stepping up to my ball at the tee box to assess each hole. I do my pre-shot routine and then I'm off to locate my ball. Lucky for me I'm a pretty boring golfer...as my husband puts it ..."fairways and greens" ...but speed of play, in my opinion can be a double-edged sword. If my golf ball is in the woods (rarely, ahem), I take a few moments to search for it (as per the Rules of Golf). If I find my little smiley-faced ball, great. If not, I take a drop, penalize myself and move on. Do I always go back to the tee box to take another swing? Well... if I'm not in competition and there are players right behind me, then no...I will simply drop a ball and assess the appropriate penalty after alerting my playing partners that, in the interest of time, I will take a drop. Is that legal? No, but it sure is the right thing to do when there is a crowd of golfers approaching you from behind! I want to make sure that everyone on the golf course moves along at a fair pace. Unfortunately, a backlog creates a lot of angry golfers and yes, slow play impinges upon the enjoyment of the game...if you allow it. The vacation problem happened to Barry and me on an executive golf course at Tupelo Bay in Myrtle Beach. Two golfers(?) directly in front of us decided to stop and feed the squirrels! We decided it was best to simply move to the next hole and wound up not playing eighteen. My sanity was preserved and, although we did not play the full round, we did not allow the slow players to interfere with our positive experience. We could have easily driven our cart back to the hole later in the game. Much slower players beyond what is acceptable also creates the better golfer to be out of his (or her) rhythm. Bad shots can be hit while getting cold not to mention that, if you hit a bad shot due to this circumstance, you spend even more time searching for lost balls slowing the pace. Or, when out with your buddies playing competitively (Nassau anyone? ), it is very difficult not to be upset with the group one or two holes away upsetting the pace of play thus messing with your wager and your mind! Slow play is certainly not going to make me stop playing the game, so I am finding ways to deal with it. What did we do while we were waiting for the group ahead to play their tee shot? On occasion, we noticed that the group behind us lagged a bit as well so we took a few more putts on our green and practiced! Practicing your short game is the key to scoring low. It is true that, on most days, a four-and-a half hour round of golf is entirely too long to be out on a golf course. By the time you drive to the course, play the round and, of course, visit the 19th hole, you have spent the entire day away from your family and responsibilities. I agree that the time-sapping event of slow play does take the enjoyment out of a very enjoyable sport. But, the opposite can also be true. We don't want to have rangers rush us around the course without being able to take the time needed to look at a putt line or stand at the tee box to visualize our shot to set up the hole in our minds eye. In my opinion, there has to be a compromise. One good saying that everyone should pay attention to before and during their rounds? Notice the notes posted on every golf cart window - keep pace with the group in front of you, not with the group behind you! 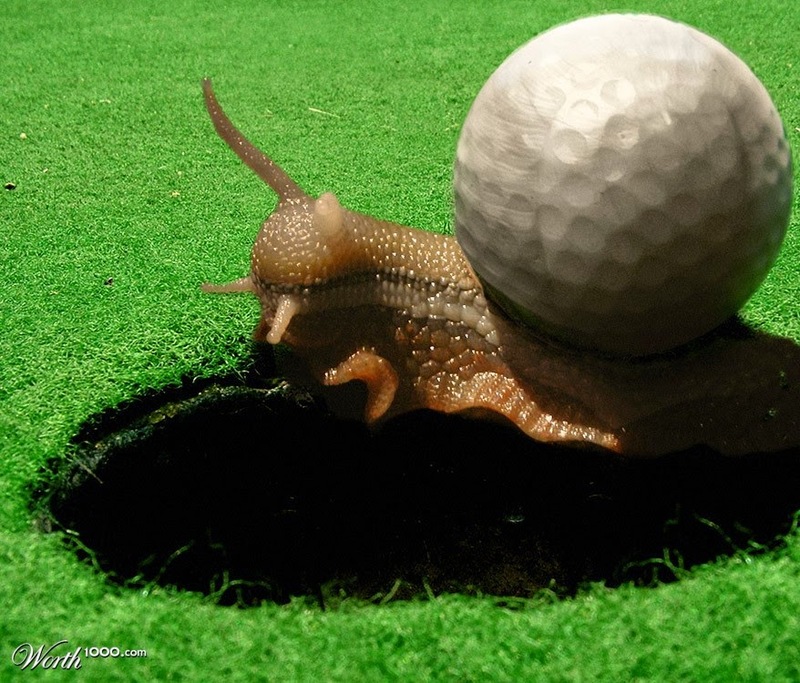 Do you play golf at a snail's pace? Have you had to play behind a snail? Seems that everyone has-what did you do to deal with it? 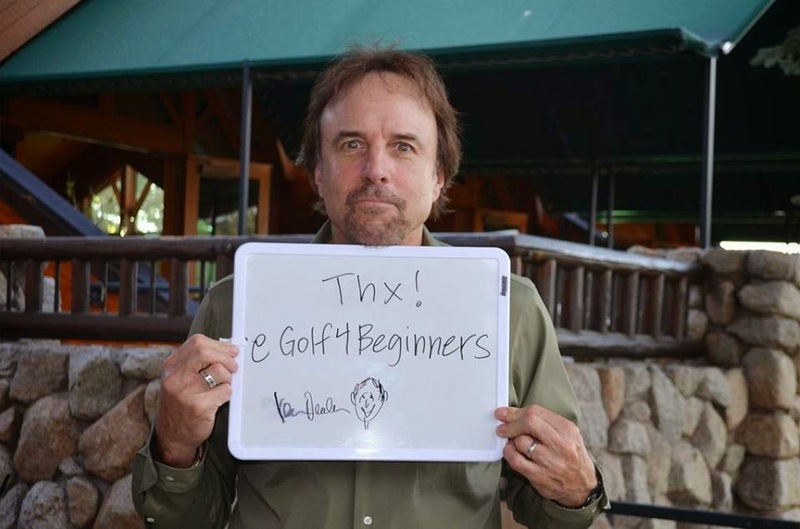 Voice your opinion on Twitter @Golf4Beginners and on this Golf for Beginners blog! The answer to our title query is simple - get your spouse and family to have fun practicing golf with you without ever leaving your property. If the scenario at home is one where, when you mention the word golf everyone groans, let me explain how you can turn those frowns upside down. The first obstacle to overcome is that those who don't identify with the sport can't understand what makes you enjoy it so much! Conquer a lack of exposure with education. We all know that elements of the game can be taught more easily when they're fun to learn. With golf being so time consuming away from the home, it's much more difficult to create this learning experience. One great way to initiate a love of golf is with a home putting green. Think about it...no more having to take the family out to play mini-golf; you could have your very own green right at home! It's time to create backyard family fun with your spouse and kids! 1. Before you actually take your first putt, together, learn a proper putting grip - Use Your Lifeline to hold the grip, not your wrists! 2. Learn "touch". Pelz says that, "As soon as you start to putt, you see results and begin filing them away. Whether you realize it or not, you have recorded the results of every putt you have ever made." 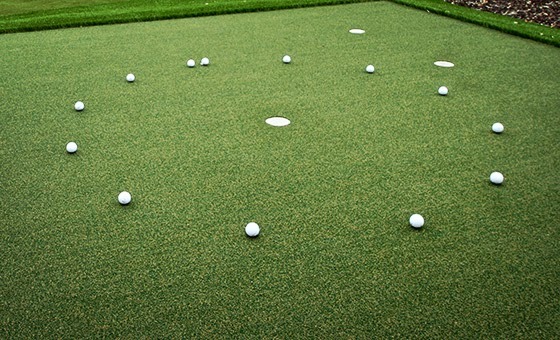 No putting green experience is complete without games for all skill levels. Mr. Pelz designed Elements of Practice to maximize the use of SYNLawn greens so golfers can create the ultimate experience right at home, from short putts on the GreenMaker™ Putting Green System, a DIY putting green kit designed and engineered by Dave Pelz, to wedge and bunker shots on custom landscapes. One of my favorite games taught to me by members of the EWGA (actually a putting drill) is called the Circle of Trust, a circle of three feet which surrounds the hole. You should make every putt from within three feet. Vary the distances you stand to make each putt from 20-foot, 10-foot and in and see who can get the most balls within the circle. Here are a few additional putting games to try, from modified match-play and stroke to horseshoes and Bango/Bongo. 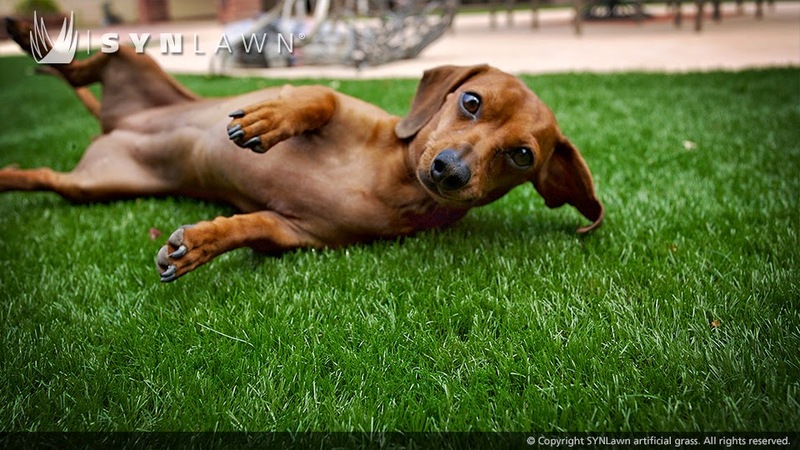 PS...You can even let the family dog roll a few - SYNLawn was created with dogs in mind. Safe for pets, but watch for chewy golf balls! These contests can be short or even last for an entire month to decide the big winner - like who gets to pick the vacation spot that year! It's probably easier to get kids involved than your wife but...once your spouse beats you the first time in a putting contest (and she will), she might urge you to take her out to twilight golf (date night) ...you can get even more practice and she might even join a league of her own! So, everybody wins! Finally, one last golf tip. I once asked Mr. Pelz about distance control on wedges. Read his response on Golf for Beginners blog. Are you trying to get your spouse into golf? Let us know on Twitter @Golf4Beginners. Ask about DIY and Custom Greens @SYNLawn_golf. Forgive me but I am not perfect! Founder Karsten Solheim must have been watching a bit of my golf game from above when Ping released the irons - hybrids that bear it's founders name. Rated Gold on many a golf hotlist, and rightfully so, the newest release from Ping offers unbelievable forgiveness which should make it a top golf club on any beginners' "must-try" list...male and female! Naturally not all clubs are designed for all swings. I currently own a Titleist 905T driver and Titleist 904F fairway woods so I wanted to test their comparable irons...fair enough...although I did have a set of 804's in my distant past. As deciding upon a new set of irons is also a very personal decision, Titleist just did not suit my swing and I didn't feel comfortable with the Callaway irons either. 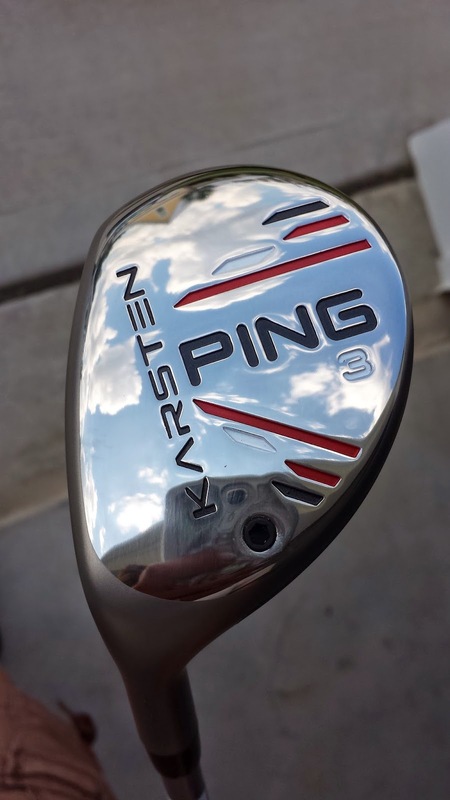 It has been several weeks since I received my Ping Karsten irons and hybrids. I have been playing on an executive golf course once per week, trying to pull each club out of my bag several times during each round. Here is my current assessment of the Karsten irons/hybrids performance. My ball distance and consistency has definitely improved...by about ten yards per iron! The arc of each golf ball hit is high and I don't get many "rollers". Ping lingo for why this happens is, "Longer distance comes from precision-engineered loft and club length progressions paired with wide soles and a deep center of gravity. The Custom Tuning Port reinforces the thinner face to increase ball velocity for greater distance and higher ball flights for stopping power." My club fitter decided that my Karsten Irons should be custom built with the KS 401 Regular Shaft - 64 grams of weight with a mid-high launch angle...perfect for my game. He also measured the lie of the club to make sure the club head was flat at address. The grips were also changed to fit my smaller female grasp. Measurements by computer and by human hands are just some of the reasons why you need to get custom fit for your clubs. I may sound like a broken record but, again, I will never buy another golf club without being custom fit...the results are making a world of difference in my game. 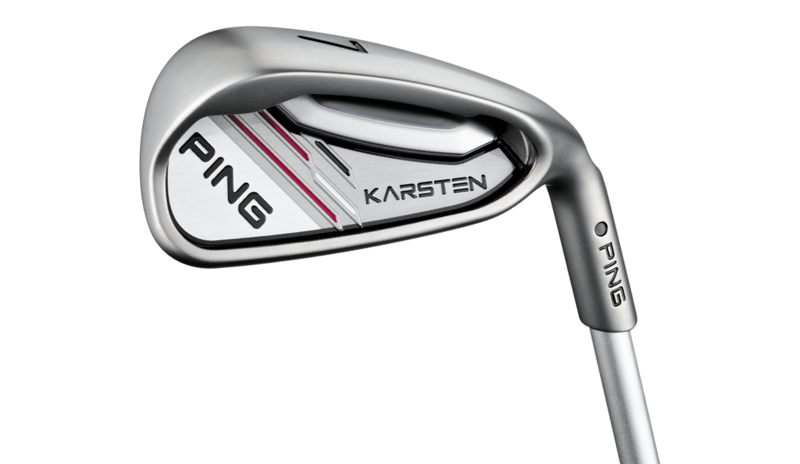 In my opinion, Ping Karsten Irons deliver on their claims - distance, forgiveness and consistency and are a perfect fit for me! Do you have a set of Ping Golf Clubs? My husband still has his Ping Eye2's (black dot)! Tell us about it on Twitter @Golf4Beginners or write a comment on this Golf for Beginners blog.